When it comes to working out what to do to improve search rankings, you need to remember that Google never stands still. 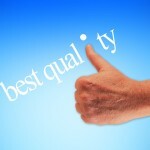 What worked to get your website up the rankings last year is becoming less and less effective. Whilst Google keeps their search criteria close to their chest, all the evidence points to an increasing trend away from the keywords and towards relevant, transparent content. 1) Do your pages contain enough content to rank? The latest evidence suggests that every page you want to rank on Google needs to have a minimum of 250 words of on page content, and preferably at least 350 words. 2) Is your content relevant enough for the search terms you want to rank for? Google doesn’t rank your page based on simply on how many times your search term appears. Today they are much smarter. They now look for the other related words that they would expect to see on a page that is relevant to this search topic. Are you guilty of “Keyword stuffing”? Action: revisit your content and see if it is “rich” with relevant language relating to your target search term? If not, re-write it to improve the quality of your copy and you’ll improve your search rankings. Google’s goal is to always return the most relevant and interesting pages for the searcher. Writing text that contain’s poor English and that doesn’t make sense to a human reader is a waste of time. Always write for human’s 1st and search engines 2nd. Action: Does your copy read well? Does it speak the language of your target reader? Is it clear and transparent? If not, re-write it (or get an experienced copy writer to re-write it for you) and you’ll improve search rankings.